Early this morning, the Campaign for New York's Future, a coalition of 150-plus organizations across the city, held a rally at the Yankee Stadium 161st Street subway station to raise awareness about the MTA's proposed service cuts and fair increases, and to encourage straphangers to do something about it. Bronx residents already face the second-longest commute times in the nation, and the MTA’s proposed cuts to bus routes and subway service promise to cripple the borough’s already strained transit system, reducing access to jobs, schools and services. The groups handed leaflets to rush-hour morning riders at the subway station, which serves three of the system’s 23 subway lines. 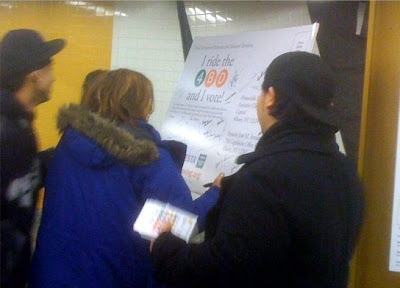 The flyers urged riders to visit a web site – http://www.keepnewyorkmoving.org/ – where they could send an e-mail to Governor David Paterson and state legislators. The MTA says it has a $1.2 billion operating deficit and unless new aid is received from Albany by March 25, the agency will raise the base transit fare from $2.00 to $2.50 and make massive cuts in service in the Bronx. The agency will also raise the NYC Transit Access-A-Ride fare from $2.00 to $5.00. These cuts include: eliminating all service on the Bx4, 14, 20, 34, BxM7B, and the Barretto Park Pool Shuttle; eliminating weekend service on Bx8, 18, 30, and 33; eliminating overnight service on Bx10; reducing operating hours on Bx33; eliminating portions of Bx26, 28, and 30 routes; longer waits and more crowding on six subway lines; and ending Station Customer Assistants at scores of locations. 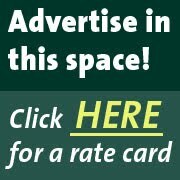 Raising the fare is an outrageous way of fixing this problem. Instead of encouraging mass transit this would have the opposite effect. I'm in favor of implementing tolls, as I was in favor of Congestion Pricing. Let the toll revenue benefit the commuter majority, those of us who rely on trains and buses to get around NYC.